Magic energy. You’ve never seen anything like it. Pow, flash, mystique. Right before your very eyes. Elio Simonetti is the real thing. Just watch him go voilà unlike anything anywhere. Pure wonders draped in delight. No camera tricks. Simply peerless conjuring with a flourish. There is only one Elio Simonetti. He’s flummoxed audiences everywhere. Now it’s your turn. Inventive magic delivered with zest. You’ll watch and rub your eyes into sparkling mode. Illusion, dance and music...what more could you want? Conjuring to classical serenades. Frenzied deceptions to an upbeat tango. Comical capers with audience volunteers. All meticulously choreographed with a sprint of flair. Entertaining and artistic. 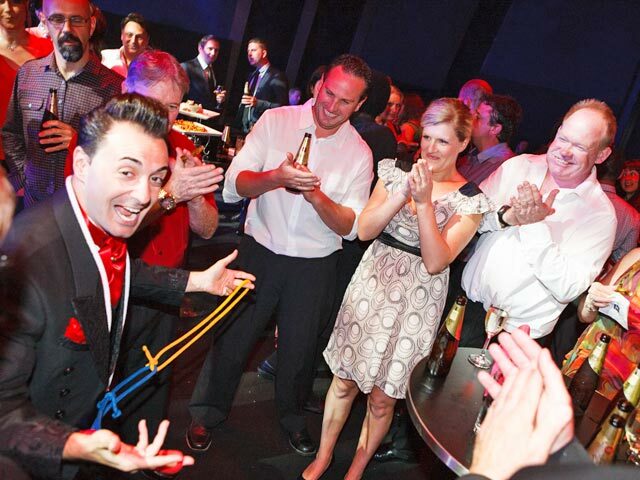 Theatrical happenings packed with boggling surprises when sleight of hand is brought up close amongst the guests. Miracles blossom before their very eyes and even in their own hands. More than just card tricks. Performed silently or with engaging conversational patter. Amazing things customised to suit your production. Incorporate elements from your event, or even have a new act tailored entirely from scratch. Now that’s an interesting idea. Anybody of your choice magically appears. We’ll make them look fabulous. No training required. They’ll be as excited as you. What a great way to click. Audiences the world over have marvelled at this maestro’s mysteries and have been charmed by his impish enthusiasm. His range is spectacular. He’s dazzled in every setting imaginable. His wonders have wowed intimate groups in art galleries and crowds of thousands in arenas. He’s astonished on ships and even in aeroplanes - that’s magic in the stratosphere. Al fresco amphitheatres to traditional theatres. This ambidextrous conjuror has aced it all. Elio Simonetti. This guy was born to perform! I just wanted to let you know how fantastic Elio was. He is an amazing performer and our staff couldn’t stop talking about him for days. Rave reviews as always for your show. Be astounded by the grand illusions of Elio Simonetti. 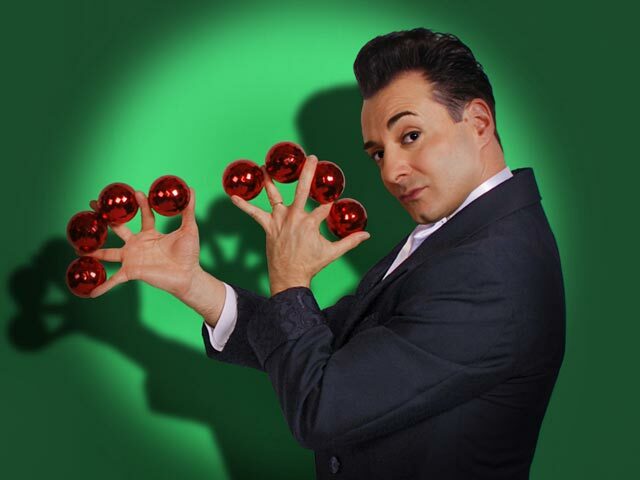 Invite this marvellous conjuror extraordinaire to your venue. Everyone will be so glad you did! Thank you very much for a fantastic performance. We absolutely loved it. We were delighted with your performances as part of our 2017 Awards Night. The magical blend of mystery and comedy delivered with such professionalism set the scene for a wonderful evening. What a scholar of the theatre. When Elio produced the dove, which flew arching over the balcony, it brought the house down. How the devil do we top that? The best! Audience members were on the edge of their seats when Mr Simonetti offered to pay $1000 to whoever could tie him up so he could not escape. Elio’s show went off like a rocket! The delivery was really slick and the magic of the highest order. The audience all got swept along by the pace and strength of the show and were totally amazed. A great package, all self contained and delivered with the minimum of fuss. The feedback on the day (and after) was overwhelmingly positive. 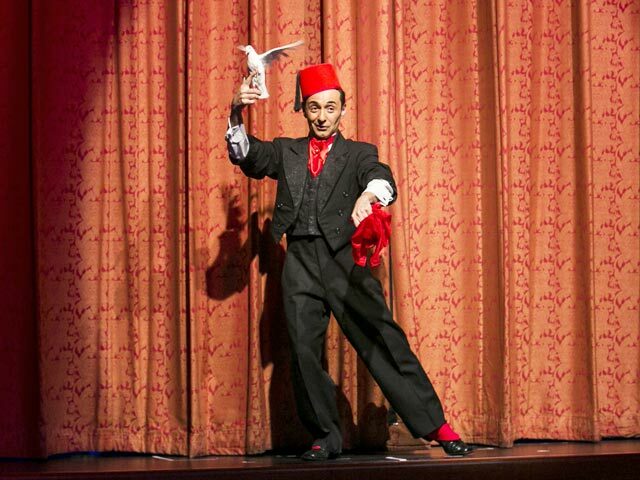 This skilled showman somehow manages, within the prestidigitator’s conventional parameters, to be both fresh and amusing. Anyone who engages the imagination of an audience to his extent deserves my vote. 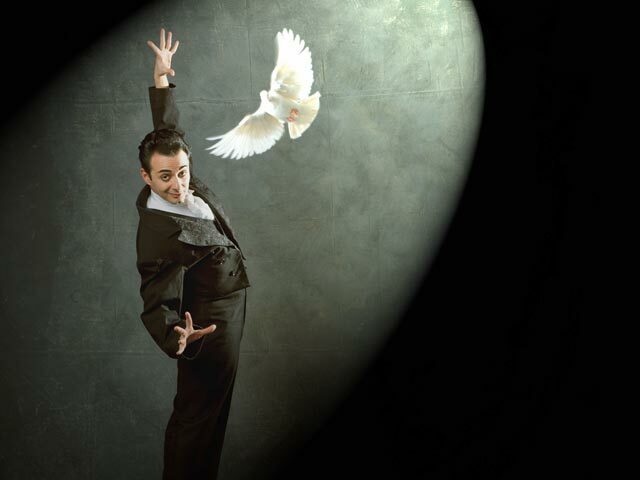 I found his magic astonishing, his choreography seamless, and his rapport with the audience exceptional. He is an act of truly international calibre, and I recommend him highly. 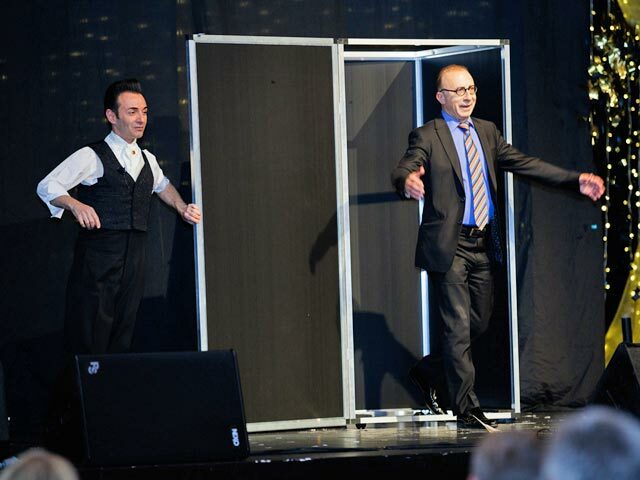 A master of mime, he captivated his audience with magic and had them rolling with laughter at his antics. Elio Simonetti’s career as a wonder worker spans three decades. His unique formula? Combine conjuring with creativity. Original magic that baffles his contemporaries as well as his spectators. This propels him into a class of his own. Immaculately groomed and impeccably attired. Better garbed than the best dressed guest. Add a splash of old school dash. Dynamically moves with the grace of a dancer. Articulates with the finesse of an eloquent raconteur. You’ll sway the hard to impress. 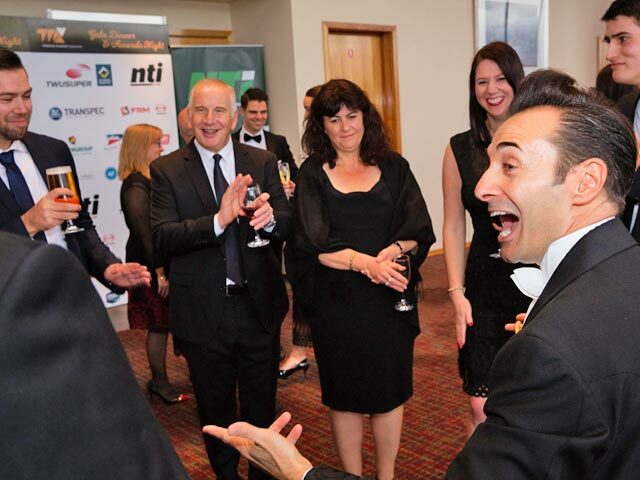 Why not get in touch and see what Elio Simonetti can do for you?